Next review We booked our vacation through BookVIP.com. This was the real deal. Such a great experience... definitely do this again. We loved our trip to Cabo! 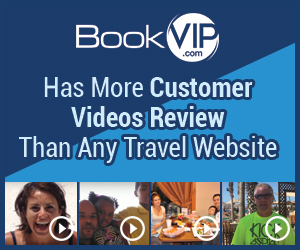 BookVIP is the best value! We stayed right on the beach and incredible vview of the Cabo Arch. The staff was super friendly and the food was very good. We loved sitting pool side drinking frozen margaritas. The pool activites were entertaining as well. We could walk to the Marina which was only 10 minutes away. We did the glass bottom boat tour and were abe to see the entire family of sea lions by the Arch. My 5 year son cant stop talking about it as was the first one he had seen (myself as well in the wild). If want to save over $1500. I definitely recommend BookVIP! Review #1257110 is a subjective opinion of AboardGreySeal.